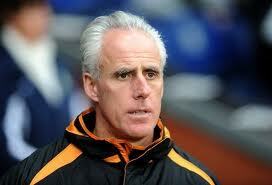 Woverhampton Wanderers have sacked former Irish international manager Mick McCarthy with immediate effect. In a short statement, the Premiership club said that they took the “difficult decision” because of the poor run of recent results. A 5-1 defeat at home to West Brom on Sunday sealed McCarthy's fate. Wolves came back into the premiership in 2008/2009 under McCarthy but they have struggled since and only barely avoided relegation last year. “The Board would like to place on record their sincere thanks and appreciation to Mick McCarthy and he leaves with the very best wishes of everyone connected to the club,” the Wolves’ statement said.